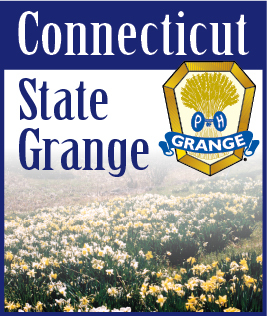 The 140th Annual Session of the National Grange is now history. Sister Marge and I enjoyed our first session as delegates. There was much work and late night committee meetings but we did enjoy it. All of the Officers and Delegates of the National Grange were friendly and helpful. That's what we expected since we are all Grangers. I learned some hard lessons and much about the workings of National. As I said that's history and now the work of a new year begins. That started with our first Pink sash meeting. I must compliment the Pink Sash Members of our State Grange because the attendance at this meeting was phenomenal and I am very proud of them. I conducted the Deputies class while all the other committees met downstairs. Inspections and schools of instruction were set and Granges should soon be receiving letters advising them of the dates and locations. These may even appear in this edition. I am looking forward to these schools since there are many Granges in the state that I have never visited. This is my chance to meet your members so they can get to know me and I can get to know you. After a great dinner a general meeting was held where each committee laid out their plans and programs for the year. They did some outstanding work and some of this information may also be in this edition. Did I mention how proud I am of this group? And I am sure you will be too. Very soon the committee Directors and I will be off to Rhode Island where we will meet with the directors of the other New England States. We will make plans and set up programs for our regional area. By working together within our state and with the other states we will strengthen our organization. This we must do to ensure that the Grange prospers in this year and into the future. Sister Marge and I wish all of you a Happy and Healthy New Year.